I read this article and found it very interesting, thought it might be something for you. The article is called What Taking Pictures for Blog Posts is REALLY Like and is located at https://www.butfirstcoffeeblog.com/taking-pictures-blog-posts-really-like/. Hey there friends. This past weekend I was out taking pictures for the blog and we ran into some photo-taking snags, as per usual. I thought it would be funny to share some of the common predicaments Michael and I find ourselves in when taking photos for the blog. It’s not all insta-perfect shots, let me tell you something. Waiting for your photographer to get the setting on the camera right, the wind to stop blowing, the rain to stop, the sun to come out, or the sun to go away. But mostly, a lot of waiting. 2. Most the time you’re never as happy as the pictures look. I’m hangry in about 100% of my blog pictures because we usually go out before dinner or lunch afterwards…and I’m NOT a happy camper when I’m hungry. No matter what place you find to snap some pics, there are always people walking by. Along with it being a little awkward to be having a full-on fashion photo shoot, you’re also always somehow in the way. This weekend Michael and I really wanted photos under this flowering tree (see the pics here) and there was this poor man who really wanted to mow the lawn there. He sat there watching us, awkwardly (and obviously) weed whacking all around us until we left. Sometimes we try to go for a “fun” or “different” shot, and they NEVER come out adorable. Instead, I’m left looking weird and awkward. Like…what am I doing…? Oh, hello there handsome photographer. So there you have it, some of my truths about taking blog photos. 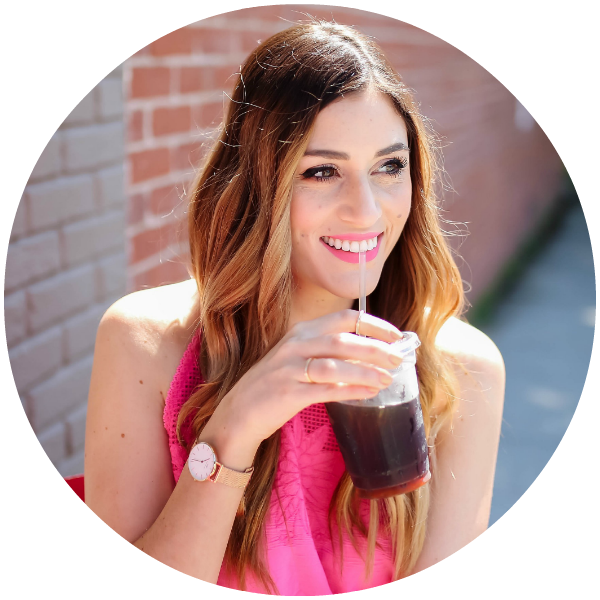 I hope you enjoyed these blogger truths!